Kaija Saariaho is a prominent member of a group of Finnish composers and performers who are now, in mid-career, making a worldwide impact. She studied composition in Helsinki, Freiburg and Paris, where she has lived since 1982. Her studies and research at IRCAM have had a major influence on her music and her characteristically luxuriant and mysterious textures are often created by combining live music and electronics. Although much of her catalogue comprises chamber works, from the mid-nineties she has turned increasingly to larger forces and broader structures, such as the operas L’Amour de Loin and Adriana Mater and the oratorio La Passion de Simone. 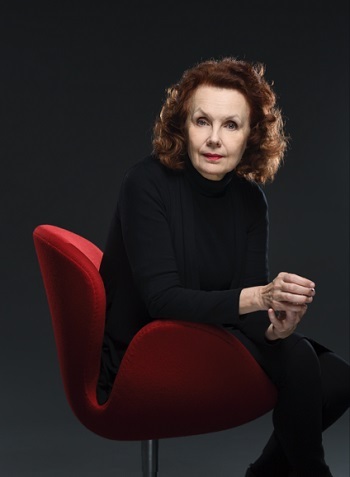 Saariaho has claimed the major composing awards in The Grawemeyer Award, The Wihuri Prize, The Nemmers Prize, The Sonning Prize, The Polar Music Prize. In 2018 she was recognized with the BBVA Foundation’s Frontiers of Knowledge Award. In 2015 she was the judge of the Toru Takemitsu Composition Award. Always keen on strong educational programmes, Kaija Saariaho was the music mentor of the 2014-15 Rolex Mentor and Protégé Arts Initiative and was in residence at U.C. Berkeley Music Department in 2015. Saariaho continues to collaborate for the stage. Only The Sound Remains, her most recent opera collaboration with Peter Sellars, opened in Holland in 2016. In the same year her first opera L'Amour de Loin was presented in its New York premiere by the Metropolitan Opera in a new production by Robert Le Page. The Park Avenue Armory and New York Philharmonic presented a celebration of her orchestral music with visual accompaniment in October 2016. February 2017 saw Paris come alive with her work when she was featured composer for the Festival Presences. She is currently composing a new opera to premiere in 2020.